According to a new report by the “Institute on Taxation and Economic Policy,”it was found that 60 profitable Fortune 500 companies managed to avoid all Federal Income Taxes in 2018. Here is the list. 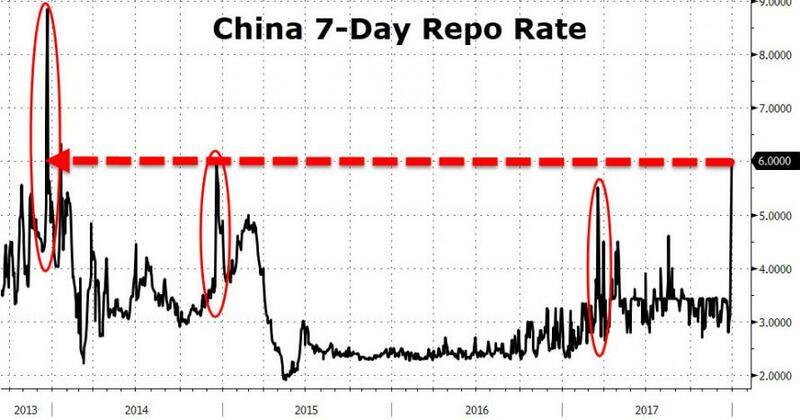 As is usually the case, there is a sudden and desperate scramble for liquidity to window-dress balance sheets and it has sent China 7-day repo-rates (the premium for locking in liquidity across the calendar new year) to 6.00% - the highest since year-end 2013. Perhaps in response to this apparent crisis, The PBOC has also announced that banks will be allowed to use reserves at the central bank of up to two percentage points to meet liquidity needs during the February lunar new year celebrations. China's central bank is allowing temporary reserves use for 30 days to cover any liquidity needs. Suggesting there is more than a little tightness in Chinese money markets ahead of the calendar new year. 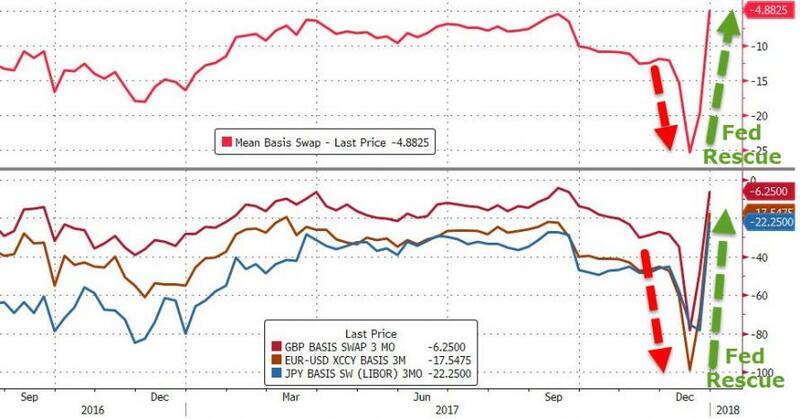 That is no longer the case in Japan, Europe, or UK as miraculously basis swaps exploded higher (less penalizing) today as The ECB tapped the Fed’s FX swap line for $11.9b for 21 days at 1.89%, the most since December 2012, and BOJ tapped the line for $101m for eight days at 1.91%, most since Oct. 4. 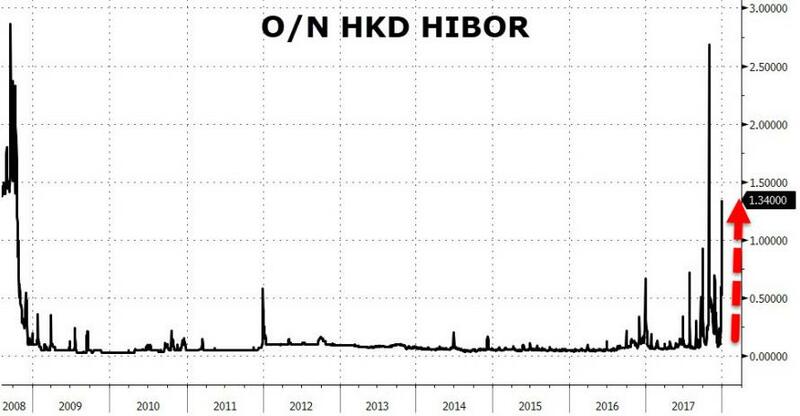 If everything is so freaking awesome out there in the global economy - why are these extreme measures being taken by The Fed, The PBOC, The ECB, and The Bank of Japan?